Flat top handle, 1.8" drop. 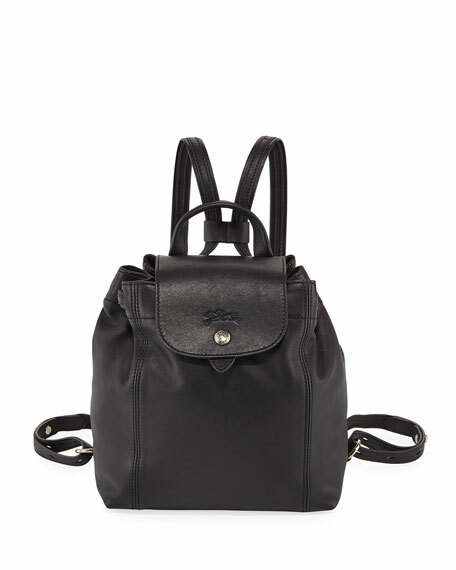 Adjustable shoulder straps, 14" drop. Flap covers belted top; snap closure. 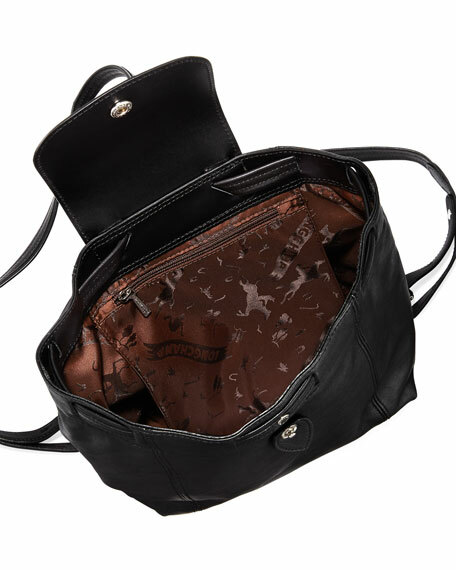 8.8"H x 11.5"W x 4"D.
Longchamp nylon travel tote with embossed leather trim. Gunmetal hardware. Rolled top handles, 4" drop. 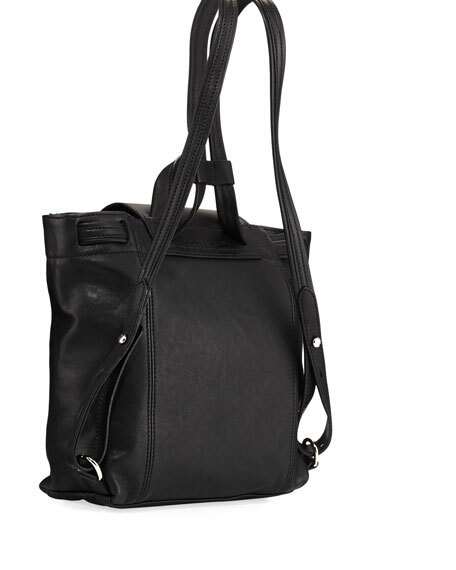 Removable, adjustable shoulder strap, 14"
Longchamp travel tote bag in durable, lightweight nylon. Embossed leather trim and pale golden hardware. Rolled tote handles; 3.5" drop.